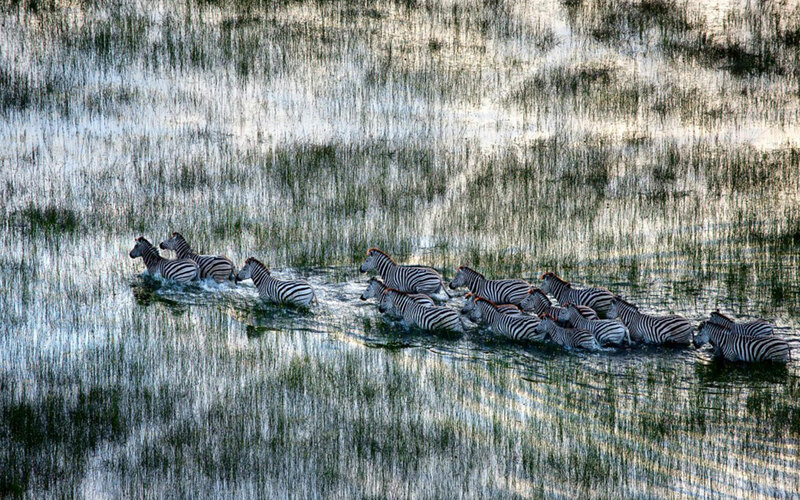 As the Okavango River overflows into the sands of the Kalahari Desert to create the largest inland delta in the world, Botswana provides the perfect setting to take in the abundant wildlife from the confines of game reserves and camps. You’re almost certain of a hippo, leopard, lion or elephant sighting during June to August as the flooding reaches its peak. Known for its Bushmen, the Kalahari savannah, the Okavango Delta, luxurious safari camps and diamonds, Botswana boasts incredible landscapes, accommodation and activities. But the majestic landscapes, divine macroclimate changes and wildlife encounters are not the only things that make Botswana great! 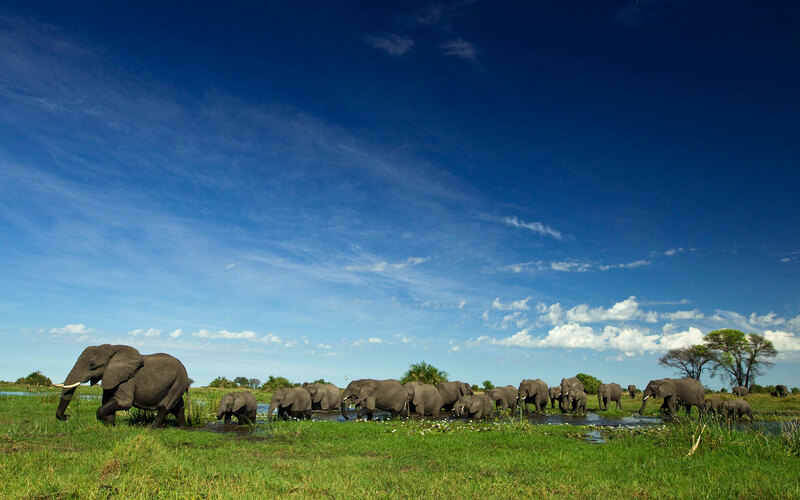 Botswana has been named Lonely Planet’s top country to visit in 2016! It has been such for years before and for many to come. Tourists are captivated by the shade of the baobab trees, the return of the water in the Savuti Channel and the use of a sausage tree by leopards to spot their kill. Still, what continues to make Botswana so special is first the people – welcoming, peaceful and love to show off their hospitality. Their slogan after all is ‘Botswana: our pride, your destination’. Botswana is one of the least densely populated countries in the world. With a population of just over 2 million and over 40% of land dedicated to parks and wildlife, guests are located in a sanctuary of peace, quiet and relaxation. Botswana also has a particular focus on conservation. Twenty percent of the country consists of reserves and national parks. Botswana is also climatically diverse: with sand dunes and arid savannah desert in the west, huge salt pans in the centre and the largest inland delta in the north-west. Click here for some of our favourite Botswanan destinations. Botswana receives almost 300 days of sunshine a year – meeting most people’s travel needs. The first rains arrive in Botswana at the beginning of summer, producing a carpet of short green grass, beautiful flowers and playful animal behaviour. Apart from a few weeks either side of Christmas and New Year, it is not peak season — and hence not crowded. You can visit Botswana at any time of the year as every season has its appeal. After the rains, the calving begins. In the height of the dry winter season, herds of elephant migrate across the dusty landscape. Elephants use a range of calls that all have a very specific meaning. If you spend time listening to them you will be able to differentiate the subtle changes. If there is a disturbance or a sense of danger, watch the elephants gather around the youngest to offer protection. Botswana holds many secrets, one of which is the Aha Hills. Located on the Namibia-Botswana border, this remarkably kept secret is rarely visited. The Aha Hills are frequented by Bushmen and are formed of dolomite, a remnant of the ancient sea – an African time gone by. Here lies two solution caves that are tens of metres deep; hardly anything is known about them. While we are on top of a hill, let’s glance over to the Tsodilo Hills World Heritage Site. Declared in 2001 because of its spiritualism and significance, the hills which translate to ‘Male, Female and Child’ rise dramatically from the Kalahari and have been inhabited for almost 100 000 years. These hills continue to captivate and mystify tourists who take one of the walking trails at sunrise or sunset, accompanied by a San guide. For the people of Botswana, totems are a symbol of kinship and identify different tribes and clans. There are often taboos associated with particular animals and are sometimes derived by tribal choice to mark a special event. Such is the case with the Ngwato tribe of His Excellency The President of the Republic of Botswana, Lieutenant General Dr Seretse Khama Ian Khama. His totem is the phuti (or duiker). It was chosen in the mid-19th Century when the then Chief, Khama III, sheltering in a bush from marauding invaders might have been killed had a duiker not run from the bush, convincing the enemy that there was no one there and saving his life. Following tradition, the phuti is beautifully depicted on his grave. Before travelling back home, travel back in time in the remote village of Xai Xai – one of the last remaining realms of the San Bushmen. These friendly hunter-gatherers have a fascinating ‘click’ language and a way of life that has all but disappeared from the rest of the world. Experience their ‘trance dance’ under the star-studded sky or a partake in a morning bush walk. If you’re visiting Botswana, be sure to eat like a local in Maun. This is the only way to truly experience local culture. Drink palm wine, munch on dried mopane worms (more protein-rich than beef) and journey into the back roads of the town to find street stalls selling seswaa and papa. The local delicacy is a potent concoction made from fermented marula fruit. If you’d like something more placid, try leputshe (wild pumpkin), customarily eaten atop a porridge of sorghum, called bogobe. Traveling in Africa is not a cheap endeavour, but this rings especially true for traveling to Botswana. Botswana operates on a high-cost low impact model meaning they keep prices high for tourism so that they can preserve the beauty of their country. One of the most expensive and sought after things to do in the country is to see the Okavango Delta. Fuel, camping, and groceries are found to be extremely affordable and it is even possible to see the Delta on a budget, but come knowing that to experience Botswana to the fullest you may have to make it Pula (rain).